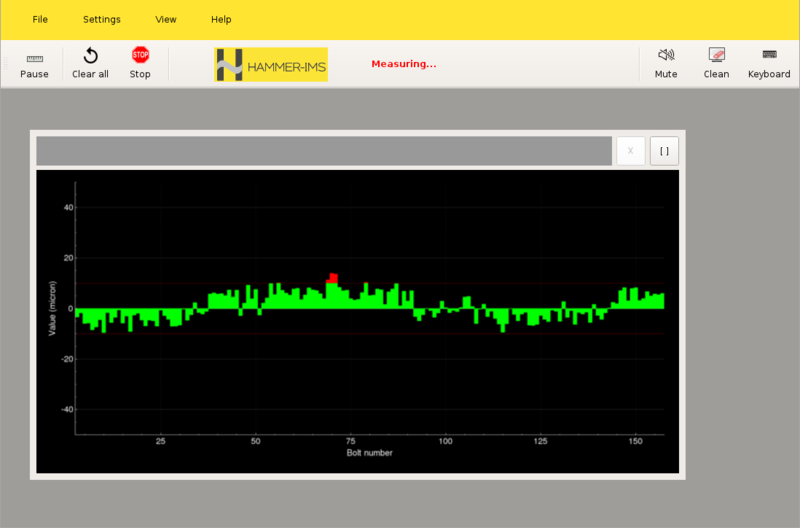 Our in-house developed Connectivity 3.0 software suite connects to all measuring products of Hammer-IMS. Connectivity 3.0 is available to existing computing platforms but also to our own-developed rugged industrial computer platform, bringing a HD-widescreen touch screen experience to industrial environments. Connectivity 3.0 stands for intuitive use thanks to its looks and feels, similar to today's smartphone technology. Connectivity 3.0 supports loadable plugins. The philosophy behind this plugin-approach is to be maximally able to provide a tailor-made software solution to our customers. Connectivity 3.0 is remotely interfaceable by means of an embedded TeamViewer installation. This TeamViewer installation also enables Hammer-IMS staff to monitor the installation's behavior as part of training and servicing activities. Read further below for some highlights of Connectivity 3.0. Check out the software walkthrough video. Make sure you enable the sub-titles in the video for a detailed explanation of the shown functionalities! Our main software window only displays the features that really matter to our users. This is basically: a visualization (e.g. 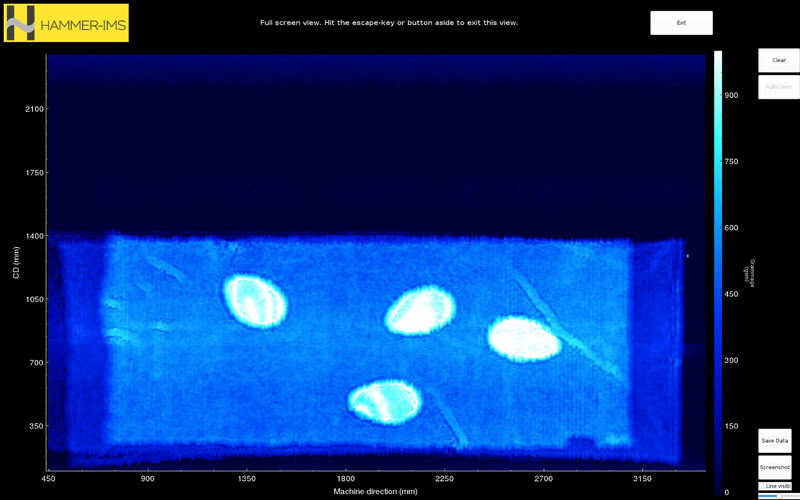 basis-weight as a numeric value), a Measure/Pause button, a Clear button and a Stop button. Furthermore, some buttons that are intended to make life easier: a Cleaning button (to disable the touch screen for 60 seconds to allow cleaning), a Keyboard button to show the touch keyboard and a Mute button to mute auditive alarms (e.g. a buzzer). 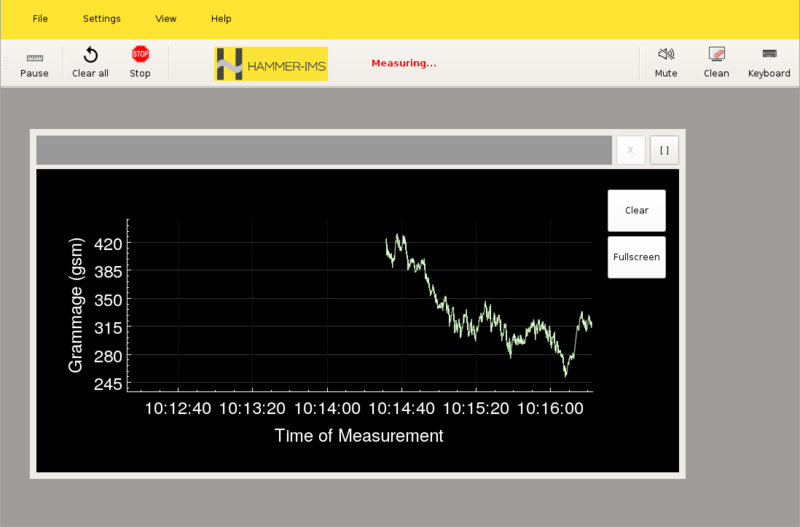 The HD-widescreen main software window stands for easy interpretation of measurement graph data. Zooming-in on graphs is possible by means of simple touch gestures. The flexible design of the software enables us to deliver tailor-made visualizations for your industry. An installation on a plastic extrusion line would probably ask for a plugin showing the thickness for each tuning bolt, whereas a plastic calendering line does not deal with tuning bolts and therefore requires another plugin on its turn. We do not need you to be an M-Ray professional to operate Hammer-IMS's measurement systems and Connectivity 3.0. 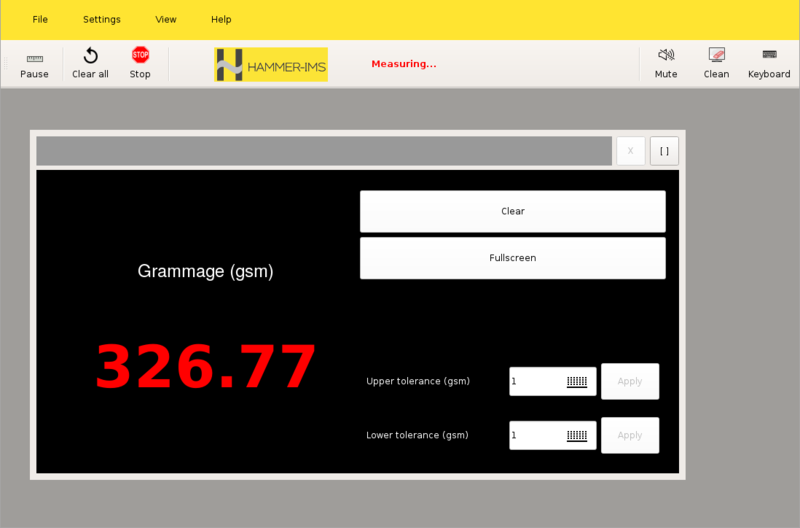 The measurement system's configuration is pretty easy. We offer a single-click configuration of the software according to the recipe that is currently being processed/produced by your production equipment. Do not waste your precious time checking all configurations over and over again and do not let human mistakes or improper configurations be directly responsible for the quality of your products. Production managers can upload recipes from an Microsoft Excel-compatible file into Hammer-IMS's Connectivity software. Our rugged industrial computer platform has a front USB connector which enables you to plug-in a USB stick to backup measurement data. Quality engineers can use this functionality to analyze measurement data in Microsoft Excel and conclude about trends in production quality or performance. In order to optimize the user's experience, Connectivity 3.0 supports your language. Ask Hammer-IMS what is possible for your language. Our recently-developed Color Graph addon gives the operator a clean view on variations of the produced material in both the machine-direction and the cross-machine direction.